Mission Statement: The Northeast Ohio PeriAnesthesia Nurses Association’s Mission is to promote the profession of Perianesthesia Nursing and to enhance the quality of life for our members and the patients they serve." 32th Annual Reverse Raffle – Monday, October 22, 2018 at Guy’s Party Center in Akron. All 90 tickets were sold and 2 raffle side boards. This was our main fundraiser and a celebration award for one member. 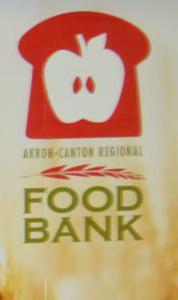 Thanks to all of the 10 members and 2 spouses of NEOPANA that attended our 3rd Annual service project at the Akron/Canton Regional Food bank. "We had a great time completing various projects for them"
Lisa Moyer - NEOPANA Past Pres. was presented the 2018 "NEOPANA Member of the Year" Award from Teri Siroki. NEOPANA President Lisa Moyer and her husband enjoyed the evening with friends and family at the fund raising event. 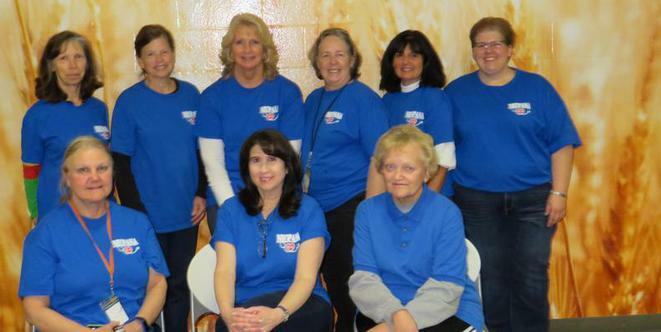 NEOPANA members volunteered at Hope Outreach in Canton, OH on Saturday, March 16, 2019. Some members served hot lunches, desserts, and beverages. Other members helped in the clothing room and wrapped silverware for future meals. NEOPANA members donated baked goods and monetary donation to Hope Outreach.